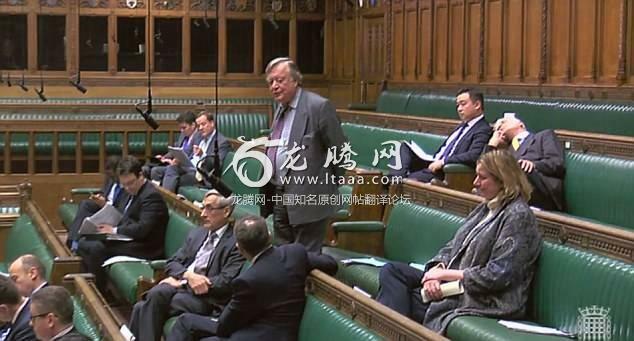 senior Tory MP appeared to be feeling the pace during a Commons debate on the Brexit Bill today. 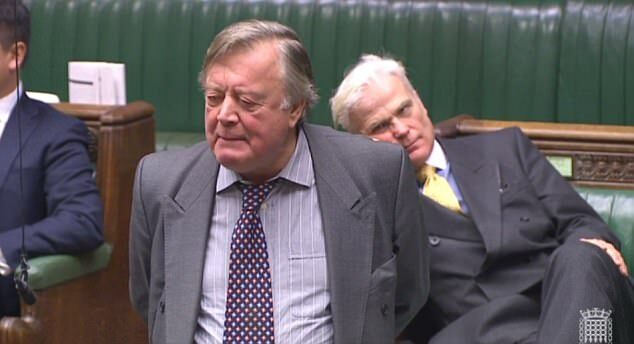 Sir Desmond Swayne was unable to keep his eyes open as colleague Ken Clarke expounded on the virtues of the EU. 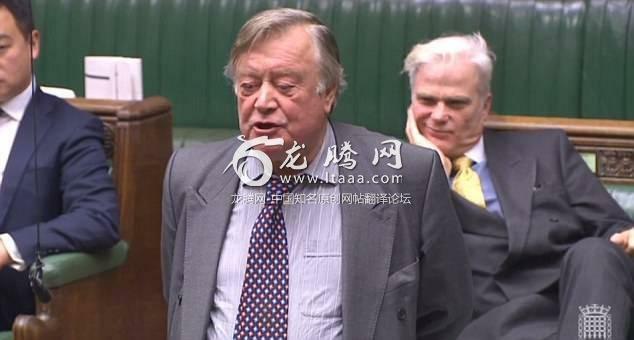 Unfortunately for the former minister he was caught on the parliamentary TV feed as he slowly slumped down on the famous green benches. 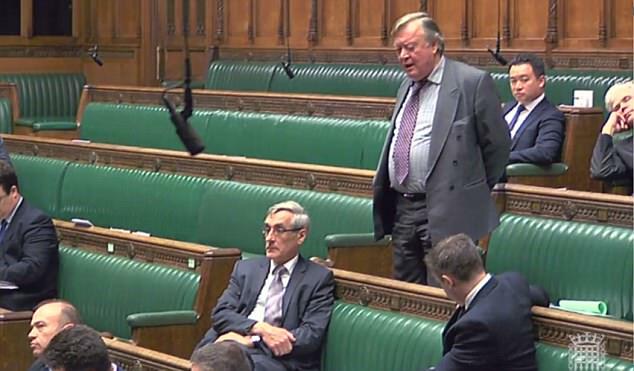 As Mr Clarke began his speech on the EU Withdrawal Bill this afternoon Mr Swayne was reclined back in his usual seat in the House. But the Brexiteer's eyelids drooped and he slid into an almost horizontal positions. 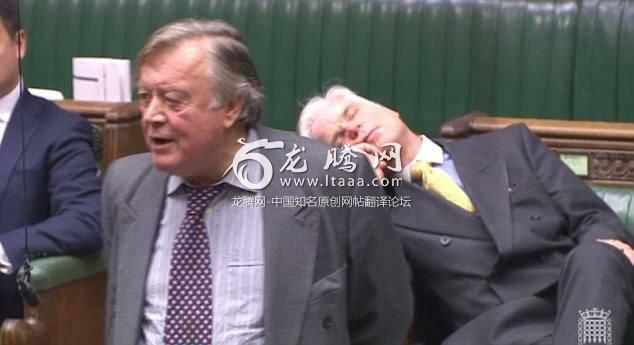 For perhaps 30 seconds Sir Desmond a popular and well-respected figure in the Commons looked to be out for the count. However he then appeared to wake up with a start - popping back upright with his hair in a slightly disheveled state. The EU Withdrawal Bill has returned to the Commons for its report stage and third reading with MPs expected to clear it to move to the House of Lords tomorrow night. After a stormy passage earlier in the process the legislation is likely to have a less torrid time. But peers have vowed 'trench warfare' when it comes before them in a few weeks' time. Former attorney general Dominic Grieve who previously inflicted defeat on the government over holding a 'meaningful' vote on any Brexit deal said he wanted the Lords to press the issue of including the EU charter of fundamental rights in the Bill. Ministers have previously said the rights in the charter will be protected and are maintained through other means. Speaking at the Bill's report stage in the Commons Mr Grieve said: 'I listen very carefully to what the Prime Minister says about modernising the Conservative Party about giving it a broad appeal to younger people about trying to ensure that we reflect current norms and standards in our country and give effect to them in the sorts of policies we develop. Let¿s face it he¿d probably just had a subsidised 3 hour lunch with a couple of bottles of wine and it¿s all catching up on him poor wasted knight of the realm! In fairness I feel like that every time a remoaner bore opens their fat treacherous gob. Sleeping on the job and still getting paid. This is gross misconduct anyone in the real world would be sacked for that. Who would not nod off listening to Clarkes boring EU supporting monologue which he has trotted out each time leaving the doomed EU crops up. Just don`t listen to him on radio when driving then. That's Clarke for you. He puts me to sleep too. He could put everybody asleep.